Tell Iowa State University to revise its speech policies by filling out this form. Following criticism about a T-shirt featuring a marijuana leaf, the ISU rescinded approval for the T-shirt and adopted new regulations specifically designed to restrict NORML ISU’s ability to engage in political advocacy. 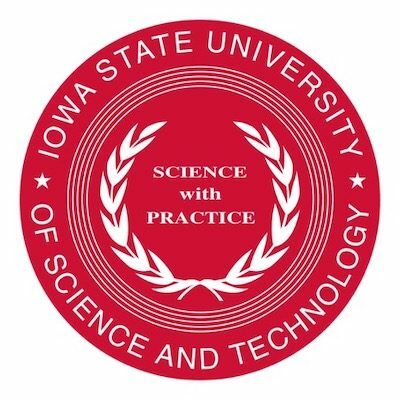 As Torch readers are aware, one of the initial lawsuits in FIRE’s Stand Up For Speech Litigation Project, Gerlich v. Leach, involves a challenge to Iowa State University’s unconstitutional trademark policy that ISU administrators have used to silence a student group advocating for the legalization of marijuana. Yesterday, the Iowa State Daily published a letter to the editor by Kenneth Currie, an ISU alumnus. ISU’s associate general counsel didn’t listen to us when we wrote him to say that ISU’s policies were unconstitutional. Maybe the administration will listen to Dr. Currie. FIRE Litigation Coordinator Catherine Sevcenko takes to The Huffington Post today to explain why Iowa State University students Paul Gerlich and Erin Furleigh are standing up for speech at their institution by filing a First Amendment lawsuit. We learn in grade school that freedom of speech is the hallmark of a free nation and the cornerstone of democracy. Yet the urge to censor seems almost irresistible, no matter who wields authority. As FIRE followers know all too well, public colleges and universities routinely restrict and punish constitutionally protected expression. In academia, where First Amendment freedoms are most precious, they are at serious risk. Nearly 60 percent of the 427 institutions that FIRE has surveyed maintain policies that clearly and substantially infringe upon freedom of speech. This week was an exciting one for FIRE, as we took a huge step forward in the fight for free expression on campus with the launch of our Stand Up For Speech Litigation Project. While we’re proud to usher in this new era in FIRE’s history, we’re even prouder to do so alongside the brave students and faculty members who have taken this opportunity to stand up for speech. We hope you will consider supporting these plaintiffs as they fight back against campus censorship.